Hello friends! I hope you all had a wonderful Easter weekend. It rained the entire weekend for us here and it was chilly – not the weekend we were expecting. However, I got to spend time with my hubby and my kiddos and that’s what it’s all about. And on another note, last night’s The Walking Dead episode left me with a serious heart attack. I am having ambivalent feelings about next week’s season finale – something bad is gonna happen, I just know it. Okay, so now for the stuff you came here for. 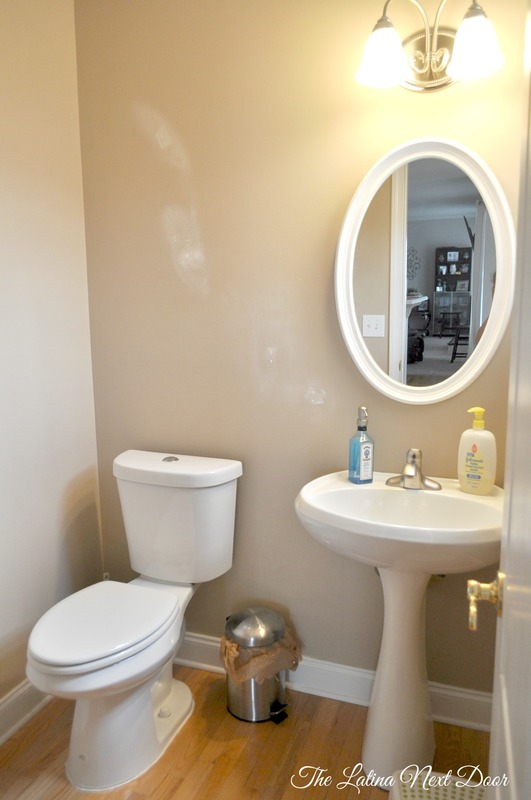 One of the things I loved about my home when we moved in was that we had a powder room on the main floor of our home that guests could use whenever they came over. In our last house guests had to use the kid’s bathroom which wasn’t ideal, so you can understand my relief of having just a bathroom for visitors. It’s the little things! Can’t stress that enough! 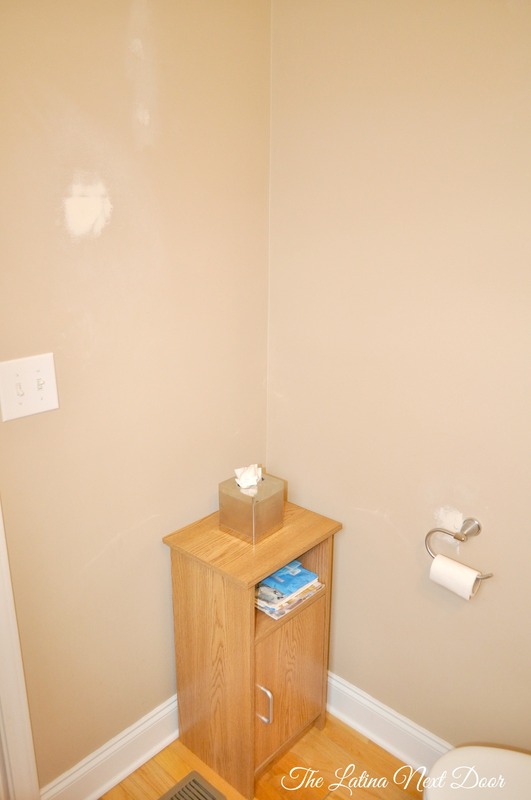 However, the bathroom looked like this…. UGH! It felt like a cell. Actually that toilet was NOT the one the bathroom had originally. We had already replaced it at this point and I couldn’t find the picture I took when we first bought the house. This was a HUGE improvement, trust me. It was actually like the 7th toilet my husband and I had replaced. 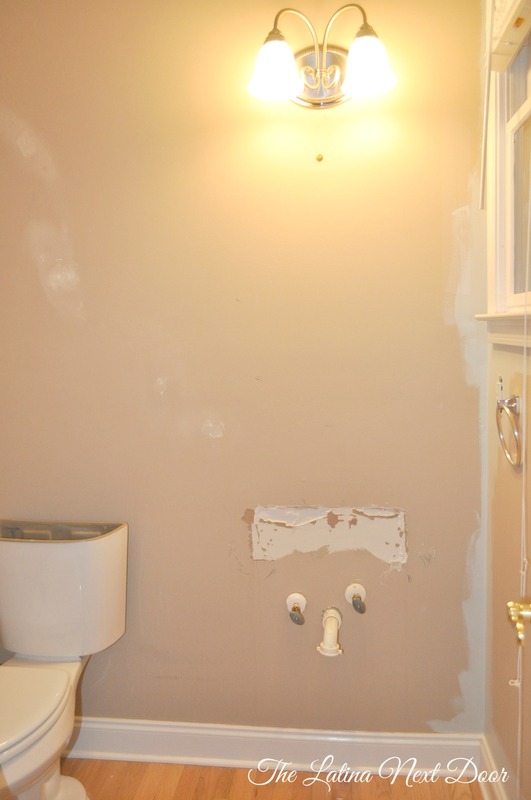 We have become quite the awesome duo in replacing toilets – almost second nature by now. We chose this style toilet because we prefer the comfort height, elongated seat and the dual flush system. The best part, is that this particular toilet only cost $99 at Home Depot. Gotta love that. In front of the toilet we had empty space where we put a little cabinet that I had gotten for free at a previous job. It basically stored toilet paper and toiletries since there was no other cabinet in the bathroom. And as you can see we had already fixed a few holes in the walls at this point. But I ain’t gonna lie, we lived this way for over a year. Yeah, ouch! The truth hurts. But frankly, we weren’t sure which direction we were going to head and there was that thing called our budget. Our bathroom did its job so we waited until we got some good deals on some stuff like tile and a sink with a cabinet component. I am not a fan of pedestal sinks in the first place and that one was hideous. Then with that came deciding on a new faucet and a new light fixture, and a new mirror… yeah the list kept getting bigger. So we stalled…. The tile we got at Floor & Decor. We picked a nice tile that was actually only $3 per square foot! Ain’t gonna lie, it was a sweet deal. Unfortunately, I don’t think they sell it anymore, but it wasn’t on clearance when we bought it so not sure what happened there. It was nice to get it that cheap cause I wanted to cover the entire back wall with tile from top to bottom. So naturally, everything had to come out. We started with the sink…. And of course it didn’t leave without fight. As you can see it took some wall with it… but it’s okay cause it’s gonna get covered up. And just like the ending of the first movie in a trilogy, I’m gonna have to leave you hanging. Stay tuned though! I will share the transformation before the end of the week. But really though, my littlest is still sick and I have yet to finish editing the pictures, but I wanted to give you a little taste of what I have been cooking up for ya! Gotta keep it real for you guys! Life happens, but I know you understand. 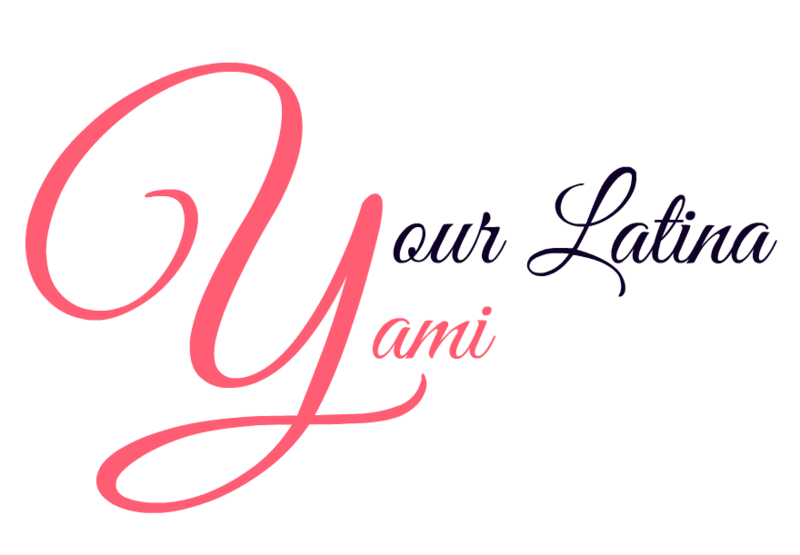 Yami, can’t wait to see the reveal! !